Its made in VB6 so it can be a little bit tricky to get it working for some people on newer versions of windows, which is another thing i want to try and get cleared up, try and make a guide to get it working, all i can say right now is you need to install the Libraries.exe and then if you get an error tell me what it says or if its a problem with a .dll file (which is usually the case, something missing or not having been installed correctly). Its open source, ive already fixed several bugs, but im not completely familiar with the coding so it takes time, but as long as its open source there are no problem editing the game code. A quick question is would it be able to play single player offline? The game is open source so nothing is stopping you from setting up a local server and play it single player, remember, i did not make this game its freely available online already. Are you making sure to give credit to everyone who made the sprites, while also asking for permission to use their work? Listen, like i said i didnt make this game at all, i would love to give every single person who worked on this credit but i simply dont know who made 99% of this, all i wanted to do is to try and open a server that is a little less grindy and maybe has a little more custom stuff and bugfixes then the original source code that was posted. Altho, il add this, if anyone made anything here and has any objections or ideas, feel free to post about it here im open to anything, but keep in mind i did not make this like i already said and im not trying to take credit for anyone elses work, i just wanted to find out if there was interest in a (arguably) better server for this game. I didnt know what tag to use in this topic because to be honest, it is already playable, but il get to that. Zelda The Golden Kingdom also known as El Reino Dorado was a Spanish ORPG Zelda fangame that had its source code released a couple of years back and a guy who goes by LostSoulFly created some code to automatically translate the game into English on the go using sources such as google translate and bing (Which as you can imagine isnt perfect, but it works well enough). The game is fully playable and features pretty much all of both Hyrule and Termina to explore as well as 8+ temples, tons of caves and extra areas, 4 races with 2 classes each for a total of 8 classes with their own unique equipment, skills and abilities, rebirthing, mounts, guilds, tamable and trainable pets, like a billion items and more. I know there is at least one server for this game already by LostSoulFly, the guy who did the translations code, but i was playing around with the idea of opening my own server, which would be unique in a few ways. I want to host my own Z:TGK server with some unique features, and possibly continue working on it, would you be interested in playing it? Im holding off on links for now because i dont know what im allowed to post here, if i go ahead with this id like to post a discord link and possibly my website. Recruitment / Re: Zelda:Lttp fangame! The collision problem is most likely because the collision mask changes depending on the animation frame, go into your sprite and modify the collision and make it a square around where you want it to collide. Im having some problems figuring out how elements are programmed into the engine, it was half way finished when i got it, currently weapons can have elements and enemies can be certain elements but magic and skills cant have elements yet, so i have to dig into the code and figure out how damage is calculated from skills, so thats basically what im going to work on next. But i still wanted to make a little update for funsies because i finished the new shop design and fixed up the trading which was pretty broken. Using scrips in game maker you can draw the text as white with a blue outline, it isnt too hard to do, just google drawing text with outline in game maker, you should be able to find info on it, if not i can probably post it here later when i have more time. Pretty much this, just have it ignore certain collisions on return. Not sure exactly how your boomerang mechanic works but i hope this helps anyway, gonna keep an eye on this project. I never said that they were, Gerudo is the thief / bow class, Sheikah is the magic class. What dotyue was saying is that Sheikah are more ninja then mage, but if you get down to the lore the Sheikah are kind of both.. so im going with mage because i dont want ninja and mage to be a single class and Gerudo as you said wouldnt be a good fit for mage so im making them the thief class. And yeah, it would be an ambitious project but im not promising anything yet, this is just an idea for now which is why im posting it here in the discussion forum rather then the project one, but depending on what happens in the next few weeks that might change. Only GM's see the kick and ban option. How so? the original lttp sprites are smaller and need less detail to customize. And why are even the rats RPG Maker? Like i said, theres a lot out there, enemies, characters, pretty much anything, if i was into making sprites then maybe youre right but thats not really my thing so i have to stick with what i have, besides sprites are the easiest thing to change later if i choose to. Did you really thought that out? The Shiekas are NINJA, and the mages, not the thief class? The Sheikah are known to use magic so it seemed like the obvious magic class out of the 3 first races / classes i wanted to start with, and i dont want one class to be both thief and mage, but yes the Sheikah would be mid range aoe, Hylian have the ability to use a shield or two handed swords for extra power and would focus more on damaging one enemy at a time or simply be a tank for harder battles, the Gerudo are the long range class, i also said MINOR healing abilities, its not a healing class at all i was planing on adding that later on as its own class, the only healing skill ive made for Gerudo is a First Aid skill that only heals yourself with a pretty good cooldown, its not OP at all, its simply to compensate for having less defense and health in later game. Honestly, doesnt sound too bad to me, there will be more classes like i said but i feel its easier to start with just 3 and i chose Swordman, Mage and Thief/Archer as those are usually the traditional classes of online rpgs. So first of all, i dont want to post this in the projects section because i dont think i can give out steady updates, this is just a hobby project for now that im working on (slowly) in my free time and i dont want to give people any huge expectations like a lot of these types of games try to do, i just want some thoughts and opinions and maybe hear about some things you might want to see in a game like this. Now i know that with most of you, the first thing you want to see when you open a new fangame thread is screenshots, so here you go. And now for some info! This game is currently being made and is running on a custom edited version of the Eclipse Origins 2d mmo engine (google it if you care to), its been modified quite a bit throughout the time ive had it but theres still some bugs and kinks to work out. 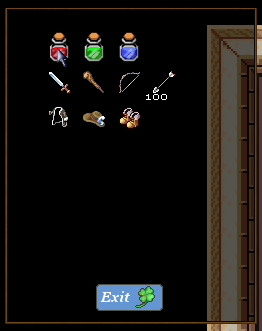 One thing you might notice is the clash of sprite and tile graphics, i know that RPG Maker sprites dont go perfectly with LTTP tiles, but honestly, it makes my life a whole lot easier being a solo developer, and to be honest i dont think it looks half bad, with the amount of sprites and costumes i want to add in it just makes it that much easier for me to work on solo. The game does have a story, but not something i really want to get into in depth in this thread because its not completely worked out yet, but it includes time traveling between two timelines, the past where people live in blissful ignorance of the events about to be unleashed on the world, and the future, where Ganondorf has thrown Hyrule into an eternal winter and the only piece left ruled by the royal family is flying high above the clouds protected by a magical barrier. 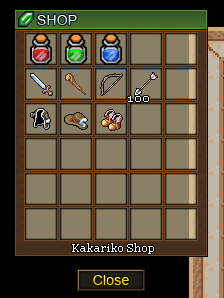 Ive made an intro sequence where you go through a couple of rooms and get a couple of items such as your starting equipment and a Lantern which is used to light torches to open secret doors etc, ive made Kakariko and the small surrounding areas and ive made the first actual dungeon (altho no boss in that one), im currently working on a simple version of Hyrule field just to connect all the areas i want to make, the plan was to do a small public test once i made the forst / lost woods / first actual real temple to see how the game runs with several people to make sure its actually worth continuing on with this engine, i also want to do this before i accept any help so that anyone who wants to contribute can at least see the direction the game is going. Another thing is it wont play exactly like a traditional Zelda game, the combat system is obviously going to feel different, and if you played around with Eclipse you know this, but i want to make dungeons and puzzles the right way, with doors, keys, chests, big chests with story tools like the Ocarina and Lantern, hidden switches and buttons etc and that is completely possible and already in the game with the event system in this engine. Anyway, thats my current project! Any thoughts, criticism, questions, tips or just general comments are very welcome! Id like to know what people think and if its something that might be fun to play around with for you.